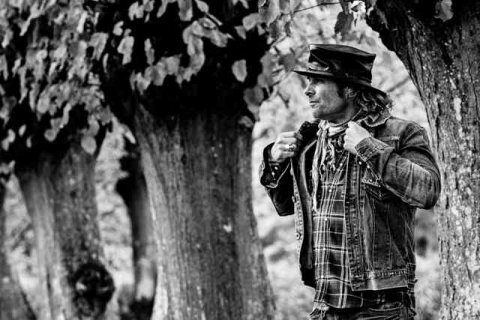 Mike Tramp says that his philosophy on life is that “you gotta take the good with the bad,” but whether he is playing in front of a handful of dedicated fans at a small club or in front of thousands at an arena, one thing remains the same — Tramp delivers rock-n-roll plain and simple and straight from the heart. Though Tramp was the melody, the voice, and the focal point of White Lion for many years, he is trying hard to put the past to rest, but knowing that there are some fans still looking for answers he humored us with a clear explanation of the events that lead to the end of White Lion, the unfortunate break-up of his second band, Freak of Nature, and his new focus as a solo artist. So, after finding success and financial security, things changed, expectations were raised, and the band was divided. And ten years after its start, White Lion had totally turned around, becoming the total opposite of why the band was started. Even though Big Game did really well album-sales wise, Tramp says that in his opinion ” it could just have been in a different place” and that it is probably the only regret that he has, because everything was just a chain reaction to that. Even the release of Mane Attraction, which in his eyes, was a rescue effort. He said that even though there was a lot of work put in it and there are some great songs on it, at the time they released Mane Attraction, the band was trying to go back and gain what they had lost with Big Game. Though the band had gone from being poor kids off the to driving Harleys and sports cars and spending hundreds of thousands on their albums, by the end, they had made mistakes and were divided despite their efforts to put their soul and blood into it. Tramp says, “There are a few that are not human, they have wings or horns, and they’re the ones that we look up to… Zeppelin, Hendrix…from the start, they just make it right,” while most others, like himself, have to try things first and make mistakes, typically in public and in front of an audience. Learning from the past, Tramp later formed the band Freak of Nature with four other musicians, who together became what he refers to as a band and a team — 100%. During the short while the band Freak of Nature was played so very closely together and had the same vision, the band released two albums (their third being an album that Tramp had put together of earlier material). Yet, sadly, at some point the band grew apart, and mutually felt it better to separate than to do things half way. Even though Tramp had been playing rock-n-roll for fifteen years, toured the world many times, and sold many records, he describes his experience with Freak of Nature, as “unbelievable” and “an experience that was beyond anything.” He says that it was very hard for him to leave the band, but without that experience, he wouldn’t be sitting here today, wanting to go on. And though it was only a short part of his life, it was a very important experience that helped him get where he is today. Prior to his current tour, Tramp had promoted his first Mike Tramp album, Capricorn, at Borders bookstores and radio stations in the US, playing his most successful bookstore show in front of about sixty people in Detroit, Michigan. Though he knew from the start that the tour idea simply wouldn’t work, he tried to go along with the record company’s ideas, did a few shows that didn’t work, and that was it. After that, however, a much better opportunity arose when he was asked t hit the road doing acoustic performances opening for Lynyrd Skynyrd. According to Tramp, the Skynyrd tour “Was also a trial in itself. That to me was another test for myself, going out and doing that just unplugged in front of like the band of all bands when it came to that and it was a great experience.” And even though in reality he didn’t get a lot out of it, he says that he knew people were listening to the songs and there was only applause. He believes that the barriers that he faces have nothing to do with him and his fans, but with radio and video stations. He says that though the fans that he has met on the road are in small numbers, they represent the masses, just like a poll on the street represents the country. 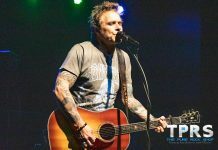 He believes that if Mike Tramp was given as much radio play as other artists and had a video on at the right time, his music would stand up, just like “Wait” did when it finally reached the airwaves at the right time and shot up to number one. “Sooner or later the test will if your song can stand, and you will get a break somewhere and it comes down to the song. And I feel at that time I will be prepared. I am prepared,” said Tramp. 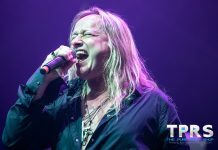 Since the rumors once and for all have been put to rest, and White Lion will never reunite or do anything together, Tramp went to the studio in and recorded brand new versions of three songs off of each of White Lion’s four albums, for an album called Remembering White Lion, which he released in 1999. Though the point of the album was very simple, after Tramp delivered the songs and made the cover, the label made it into something it was not. He said, “I wanted to be very clear that this is Mike Tramp remembering White Lion.” But, now the album now bears a White Lion logo and only states “featuring Mike Tramp” on the cover, which unfortunately, has not only made it a legal issue for Tramp but also puts him in a position to explain things to his fans repeatedly. 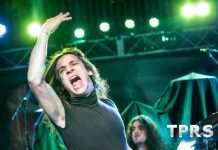 He notes that it is a sore subject that he really doesn’t have an explanation for, and stresses that he was not trying to reinvent White Lion with this album, he was only remembering his songs from the past and playing his interpretation — Mike Tramp’s version of the songs –based upon how he feels about them today.